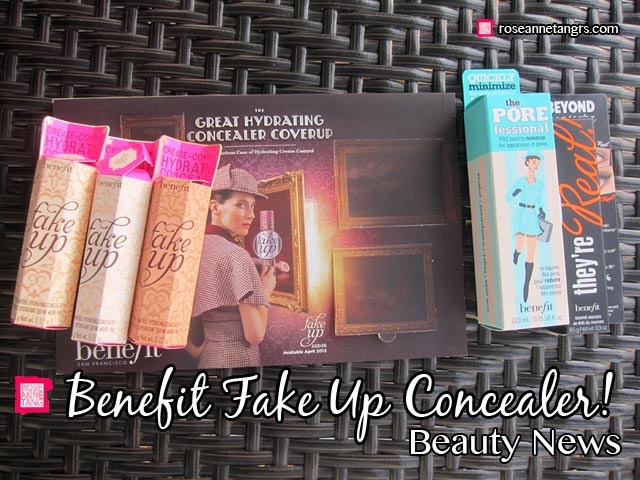 I was recently invited to the launch of Benefit’s brand new concealer, Fake-Up! Benefit is the Queen when it comes to faking it. Whether it be eyelashes, radiance or even a flawless complexion. Now, they’ve found a product finally worthy of the name and that’s this concealer. 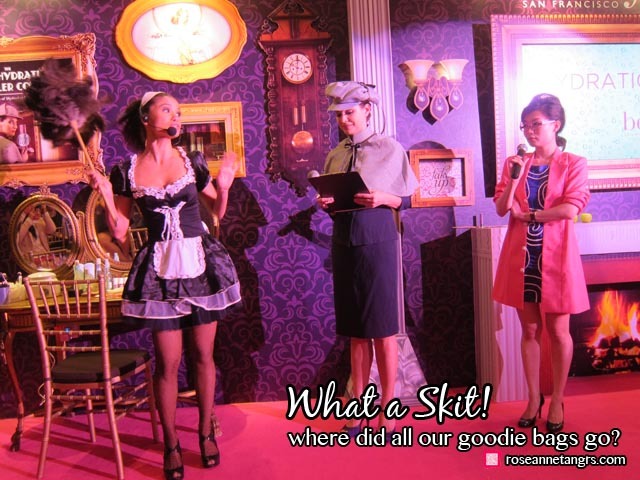 P.S I had an amazing time at the launch, loved the skit they did below! The new concealer comes in extra chic packaging and an absolutely beautiful tube and the stick form makes it easy for girls on the go. What makes this concealer different from the rest? It’s wrapped with a “hydrating core”. Basically your pigment comes from the core of the product and a moisturising balm wraps around the pigment. So, when you glide, you get a mix of moisturisation and the concealer. 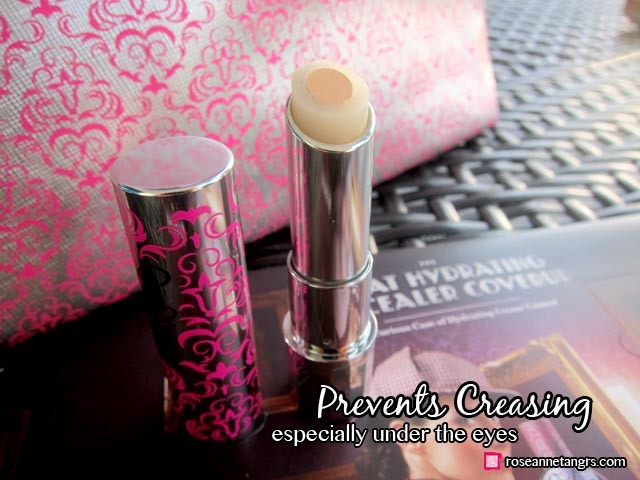 The main objective of this concealer is that it provides the coverage without the creasing. Because it’s slightly sheer when you glide it, you don’t end up building lots of the product up, preventing creasing. Dry air or even air conditioning might separate some concealers leaving it to crease but because of the hydrating core in Benefit’s fake up concealer, this worry is basically gone! The concealer comes in three shades – light, medium and deep. However, if you’re an extra dark skin tone, it’s hard to find your shade here. The Deep probably matches an NC40 – 45. I was surprised to see that the concealer is wrapped in the hydrating core and not the other way! But because of this reason, I feel like sometimes I’m putting more of a moisturiser on than a concealer. However, don’t be fooled when you first swatch the product at the counter. 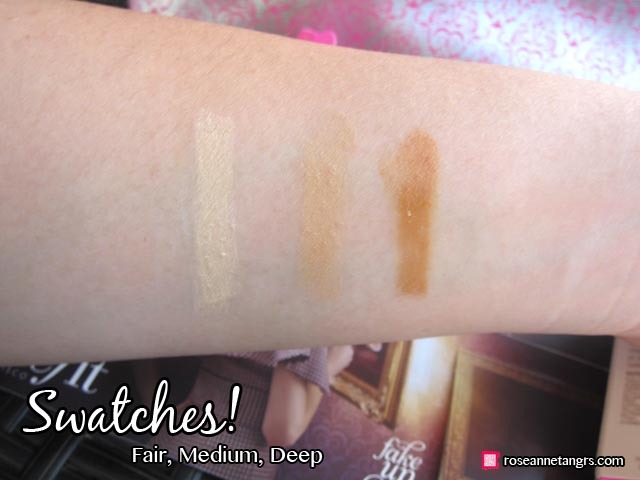 When you first swatch the product, the hydrating core doesn’t really blend with the concealer and it feels a bit like a slippery mess. You’re wondering at this stage, how is this concealer going to cover anything? However, once you blend and wait, you’ll see that your skin absorbs most of the balm leaving the concealer. It does hide well and is good alternative for people who want to hide undereyes without the fuss of patting in a liquid concealer. But, in any case I wouldn’t use this for serious eyebags but for light to medium pandas like me, it works just fine! Hope you liked this post! Update on the online store – we’ve been testing and there are some technical issues that need to be solved on our end. Unfortunately, we won’t be able to fix these in time for the proposed launch date on Wednesday. Most likely, it will unfortunately have to be after Chinese New Year! Probably better for all of us though but I will keep you posted! Urban Decay Naked Palette Reader's Exclusive for You!